Previously known as the My Too 18.0. 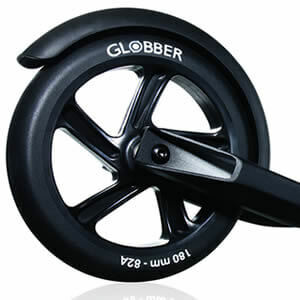 The scooter has extra large 180mm wheels made for high rebound from high quality polyurethane for a smoother ride. 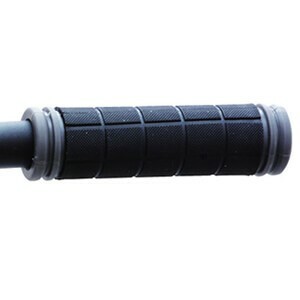 The wheels have nylon cores and are mounted on ABEC 7 bearings. The One K Active has front and back brakes, the back brake envelopes the wheel to enhance the stopping system. 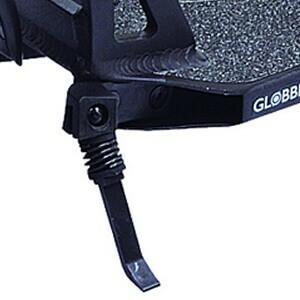 The handlebars are height adjustable and the flexible material provides comfort and resistance. The platform is made from extruded aluminium for durability and the design is wide and low to the ground for added stability. The One K Active comes in white or black with a red brake lever cable. 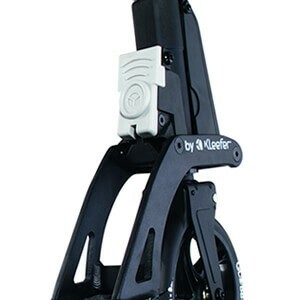 Equipped with the piston-assisted Kleefer folding system, the scooter can be effortlessly folded up in just one second with a little foot pressure on the pedal. The One K Active comes with a hand operated lever brake, ideal if you need to slow down quickly in an urban environment. Complete with 180mm wheels this scooter is perfectly equipped for urban areas. 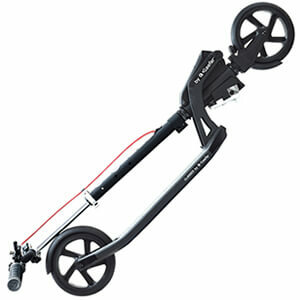 With the scooter folded the One K Active can be easily pulled along with no need to carry. 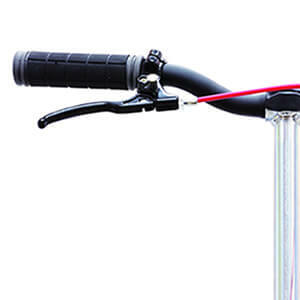 The wide, curved handlebar with flexible handgrips has been designed for daily use with comfort. 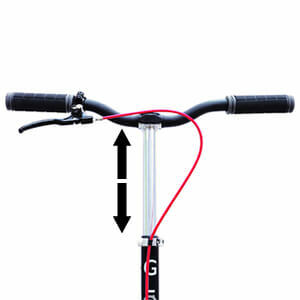 The t-bar can be adjusted in height to suit a wide range of adults. Complete with a kickstand, the scooter can parked upright when required.